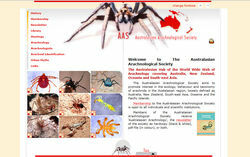 Arachnologists are served by a number of scientific societies, both national and international in scope. Their main role is to encourage the exchange of ideas between researchers, to organise meetings and congresses, and in a number of cases to publish academic journals. 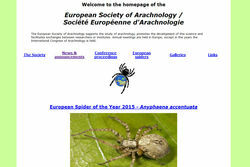 Some are also involved in outreach programs, like the European spider of the year, which raise awareness of these animals among the general public. 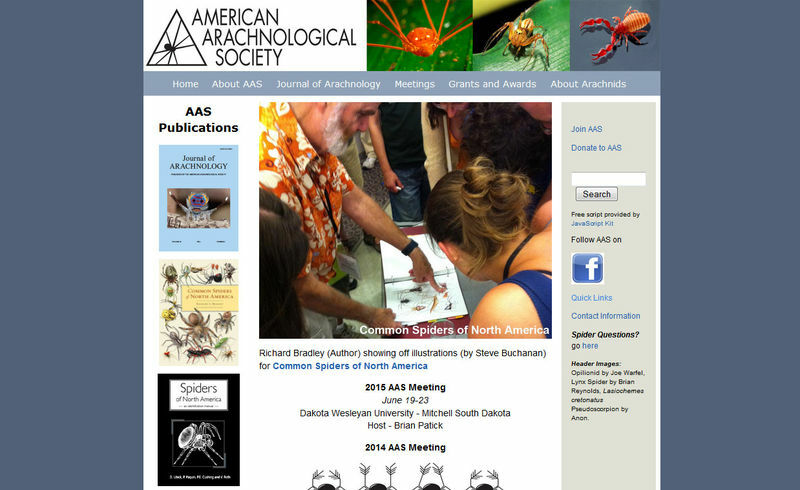 The purpose of the American Arachnological Society is to further the study of Arachnids, foster closer cooperation and understanding between amateur and professional arachnologists, and to publish the Journal of Arachnology. Meetings- The society hosts an annual meeting for professional and amateur arachnologists and students interested in arachnology to share research and ideas. Supporting Graduate Studies- The society promotes undergraduate and graduate studies in arachnology by providing grants for travel to meetings and research. 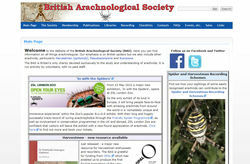 Publications- The society publishes a refereed research journal, the Journal of Arachnology, three times a year. It also publishes the Spiders of North America. 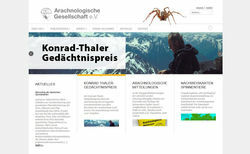 The Arachnologische Gesellschaft e.V. 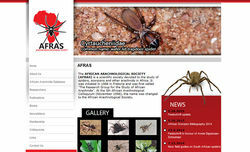 (AraGes) aims at increasing and distributing the knowledge about arachnids. 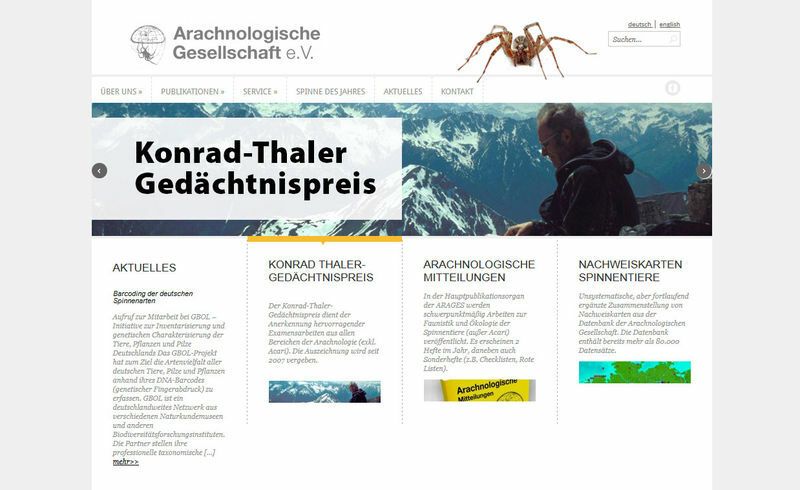 Focussing on the arachnid fauna of Central Europe, it also supports arachnological research in this region. The AraGes is a scientific institution incorporating a bridging function between interested amateurs, state authorities and academic research. the networking and exchange of information (Service). The society was established in 2012. 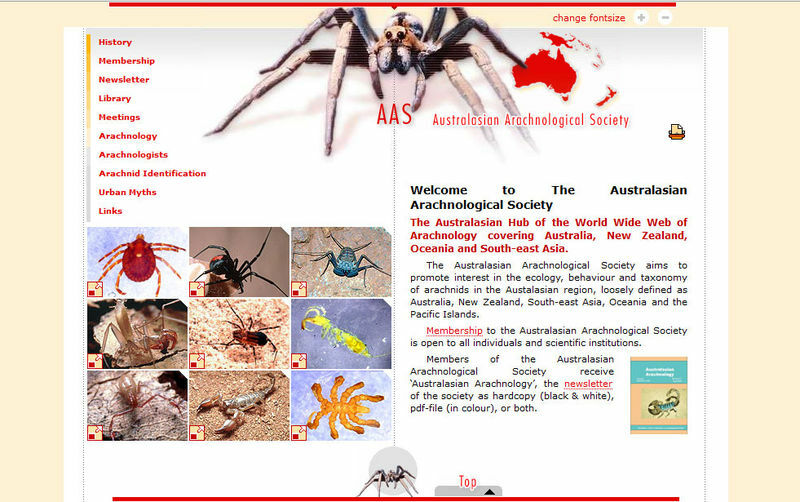 The Australasian Arachnological Society aims to promote interest in the ecology, behaviour and taxonomy of arachnids in the Austalasian region, loosely defined as Australia, New Zealand, South-east Asia, Oceania and the Pacific Islands. The emphasis of the society is on British spiders but we also include other arachnids, particularly Harvestmen (opilionids), Pseudoscorpions and Scorpions. 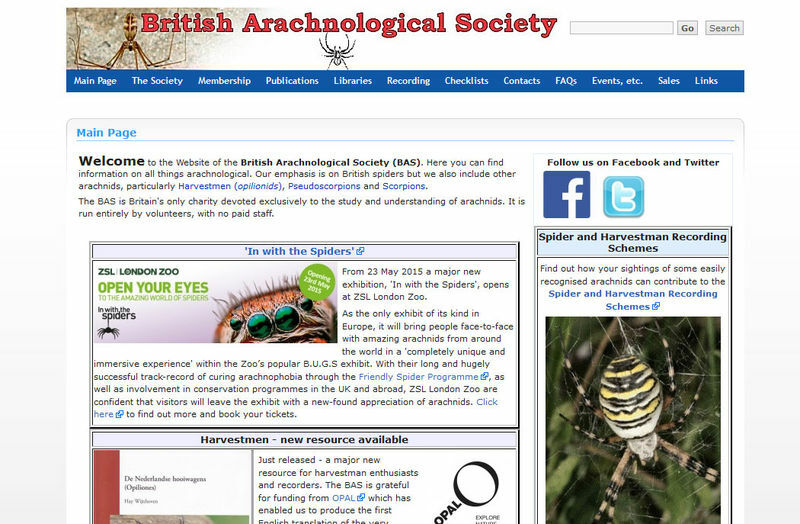 The BAS is Britain's only charity devoted exclusively to the study and understanding of arachnids. It is run entirely by volunteers, with no paid staff. 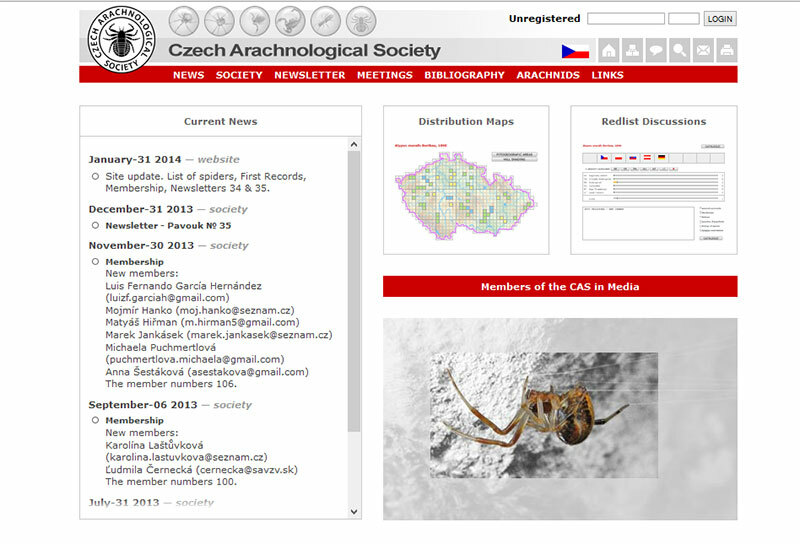 The Society was established at the 102nd Arachnological Seminary (on 11th October 2008 in Prague) as a continuation of the Arachnological Section at the Czech Entomological Society. It started with 51 members and at present it has 106 members. 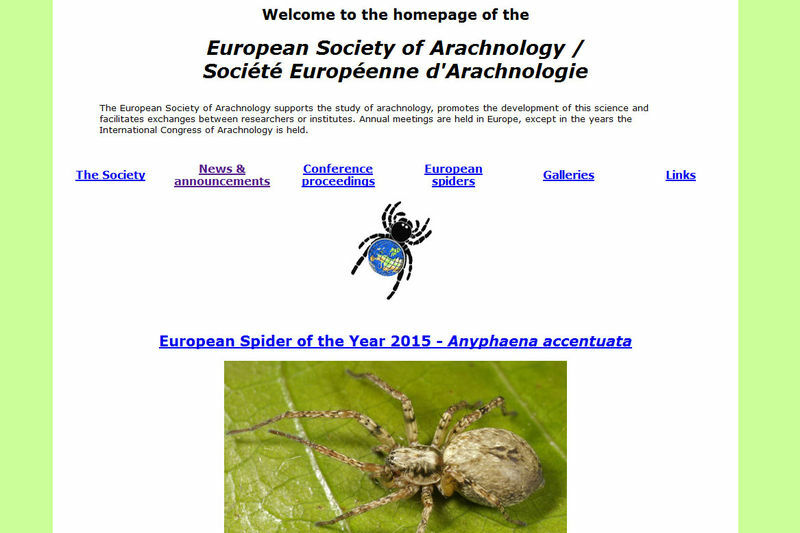 The European Society of Arachnology supports the study of arachnology, promotes the development of this science and facilitates exchanges between researchers or institutes. 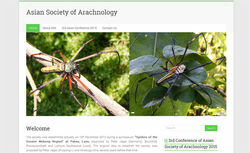 Annual meetings are held in Europe, except in the years the International Congress of Arachnology is held.